Premium quality SCII graphite combined with high-modulus/high-strain SCVI graphite for optimal weight, sensitivity and balance. I have been buying st.croix rods and reels for decades, and these rods are a huge failure. These rods are made in Mexico where the ratio of american workers to mexican workers is 10:450 sad...just...sad. I can't believe st.croix sold out of the US market. And if your looking for the made in Mexico label, well its not on the rod, its a very tiny sticker they placed on the bottom of the handle, for shame st.croix.... 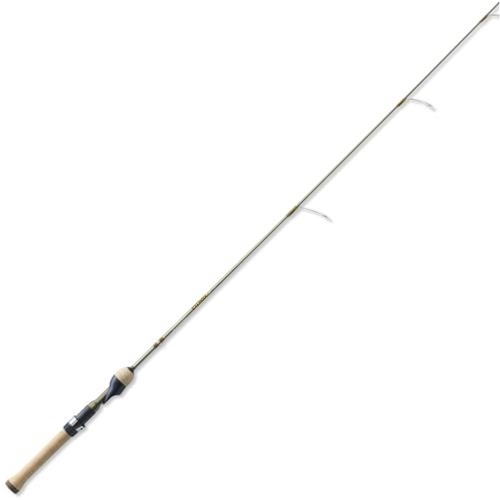 I bought this pole and the craftsmanship was very poor, materials POOR and the overall durability weak... Do not buy this rod!!! go with an American made Glommis.